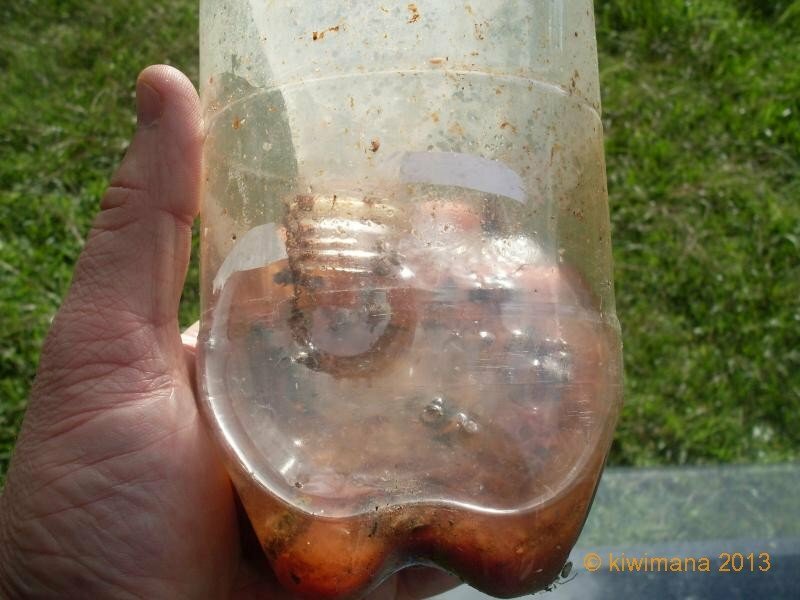 It's the time of the year in the Waitakere Ranges that the common and German wasps are out and about looking for a free meal, if you don't want that free meal to come from your beehive, read this article. In the Waitakere ranges we do have issues with German wasps or common wasps (Yellow jackets for our American readers). 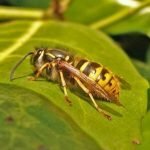 The German Wasp for our Latin readers is “Vespula Germanica”. 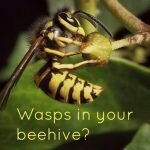 So how can you prevent the wasps getting into your hives? Well here is an idea that we discovered on the BK Corner podcast from Kevin Inglin (see you can learn things from podcasts). 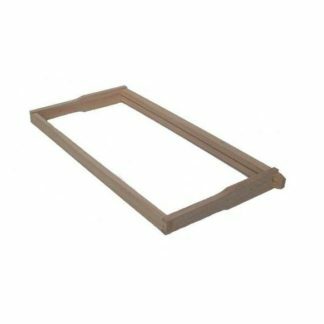 It involves making a German wasp Robbing Screen like below, which is pretty easy to make with three pieces of wood and some old mesh you have about. 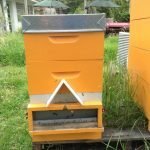 These guards seem to work very well, and it doesn’t take long for the bees to work out the new method of getting in and out of their hive. 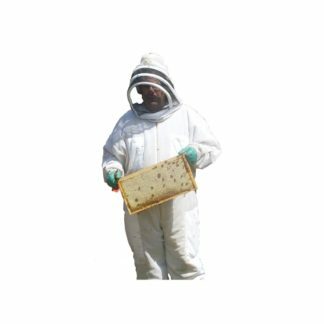 As well as German Wasps these also prevent other honey bees robbing your hives, which can be an issue at certain times of the year. Especially when nectar is hard to locate. 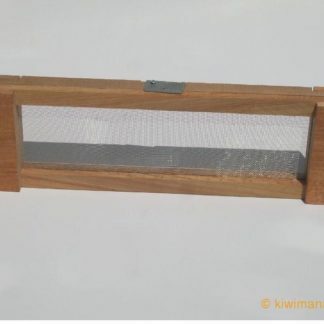 We are going to look at using a magnet to hold the guard onto the kiwimana Meshboards, as they sometimes fall off in high winds. We now sell a Robbing Screen at kiwimana, which is a more advanced version of the basic Robbing Screen. 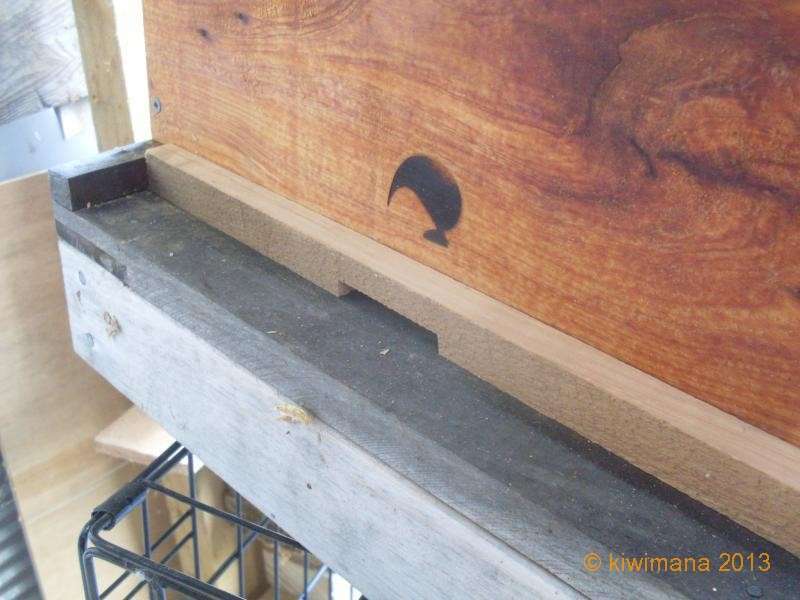 The bees will thank you for this, reduce the entrance down to 50 mm by 10 mm high. The smaller entrance is much easier for the bees to defend from German wasps or other bees. Be sure to make the reduced entrance near the centre, so the field bees can get the new supplies quickly to nurse bees in the centre frames. 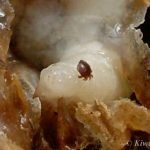 Well from an old western, Dead wasps tell no tales, so it stands to reason that if you manage to kill a scout German wasp before he gets back to his colony, you will reduce the chances of other wasps finding your hive. We discovered this idea from the Internet, it was an idea we got from a video by ewetubesuxass. That works very well indeed, better than any other idea that we have tried. Believe me we have tried them all :). An old soft drink bottle, The 1.5 or 2 litre ones are the best size. 4 tablespoons of Fruit Jam. Cut the top of the old bottle. Mix the ingredients all together and place in the bottom of the bottle. 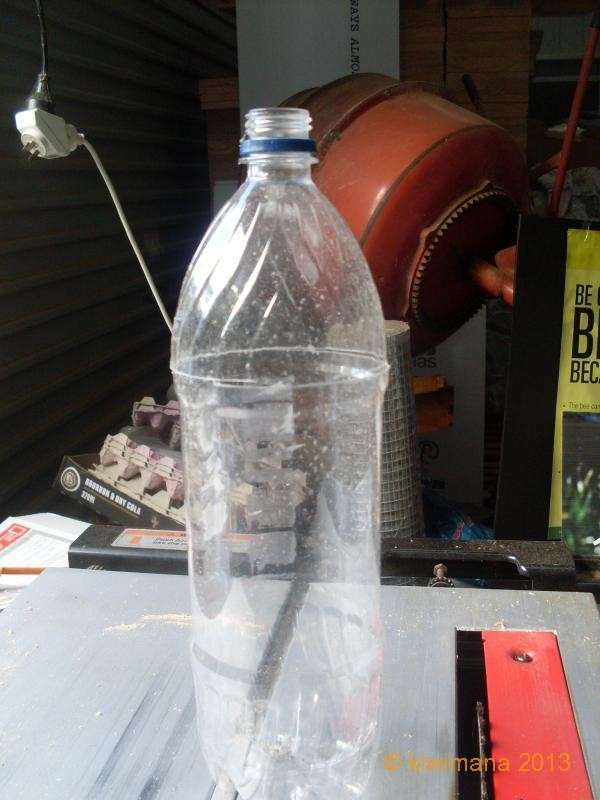 Insert the top section into the bottom (small entrance first) and staple the cut off lid into the bottle. 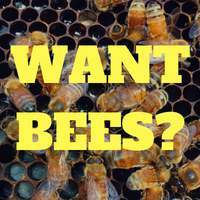 Place this under your hives, if you have them on stands or somewhere where wasps gather. 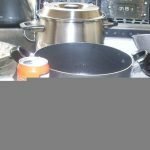 You will need to make sure it’s under cover, or it will fill with rain water. 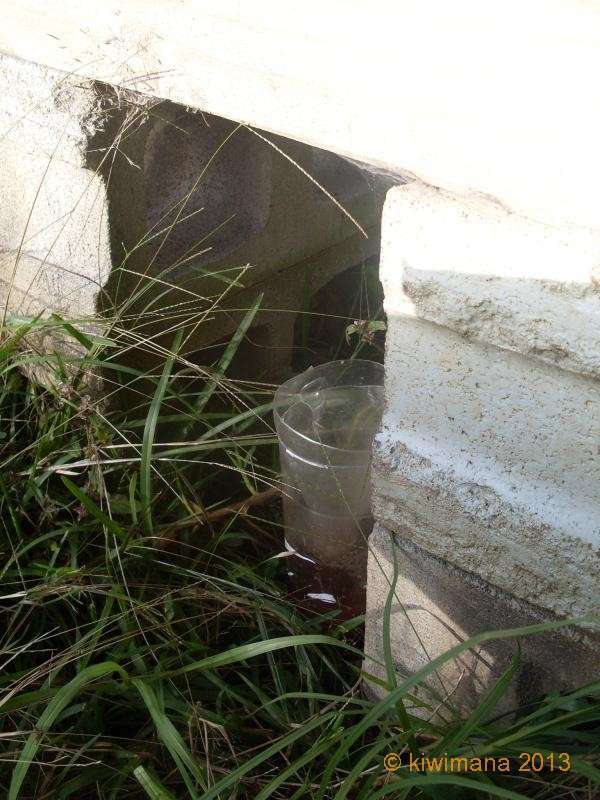 Once filled with wasps, you can clean it out and repeat. 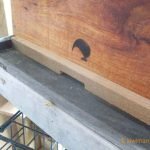 Next post: Bee Frame Holder – What is it? 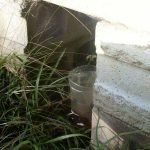 last year we had a big wasp problem, I used 5 wasp traps and squash hundreds of wasps with a stick. The hive survived. Then in winter I went on a queen wasp hunt and squashed 3 hibernating queens, I found them in the old pine stumps just inside the bark. This year I have hardly seen any wasps at all 🙂 I do like the look of the wasp guard in front of the hive, might give this a go if I need to again. Thanks heaps for the feedback, great to hear that you haven’t had any issues with wasps this year. We have a few about this year, but not nearly as many as last year. 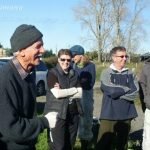 I think the wet winter in the Waitakeres flooded all the nests. But it did surprise me that we still caught quite a number in the trap, I guess the bee hives are a good attractant to the wasps. This is where we put the traps. 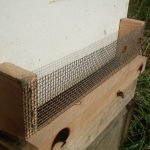 Yep the wasps guards are a great idea, I will be making some more this year. 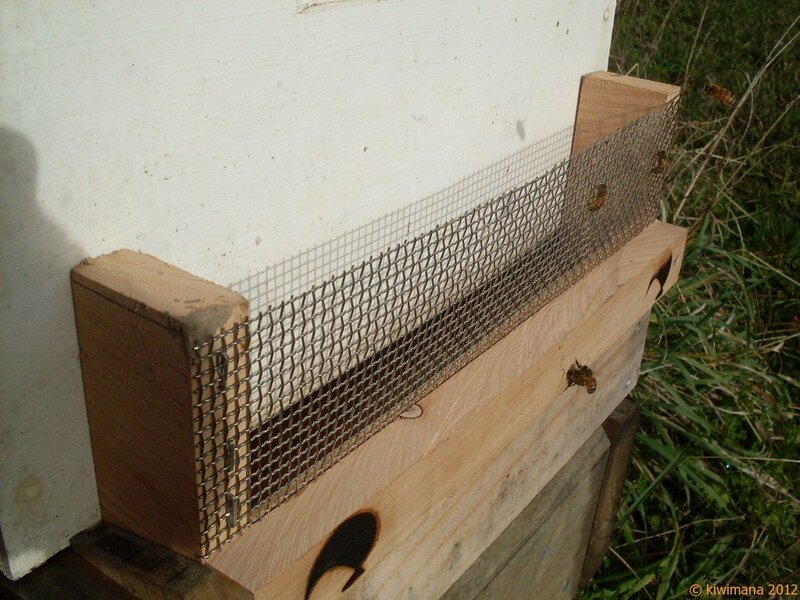 Because most of our hives have different bases, we need to make them to a custom size . Having a little bit of wasp trouble with our hive at the moment. 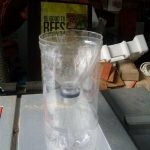 Considering a wasp trap. Do the bees not get traped also though?? A couple of litres of petrol!! that is a bit extreme and not very environmentally friendly. 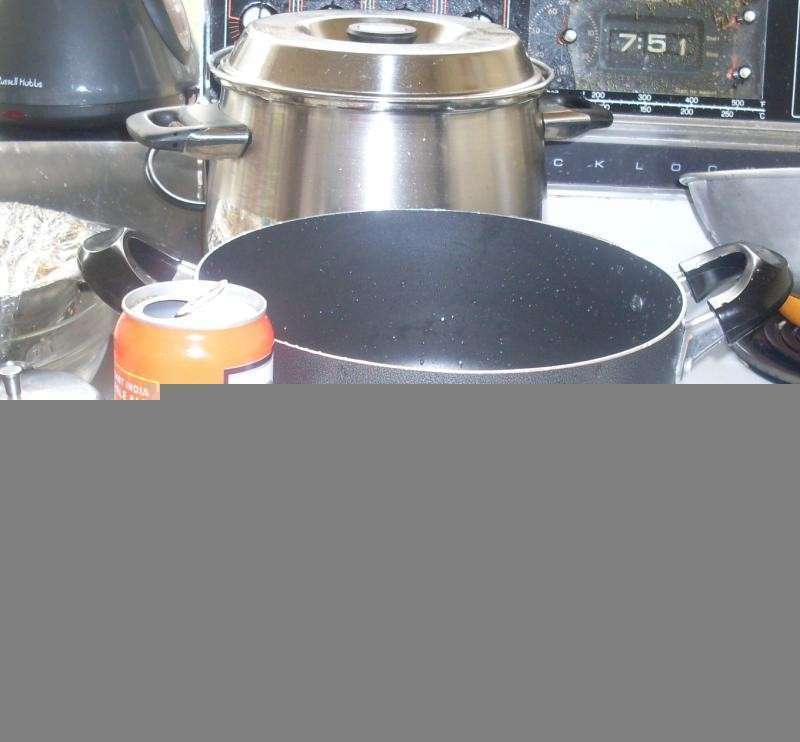 Petrol is extremely volatile, meaning a litre of petrol will give around 150 litres of vapour, a 100 millilitres would be enough, making sure the entrance is covered. I use the traps here in New York, but add small amounts of raw meat to it. Disgusting, but the wasps cannot resist it!
. 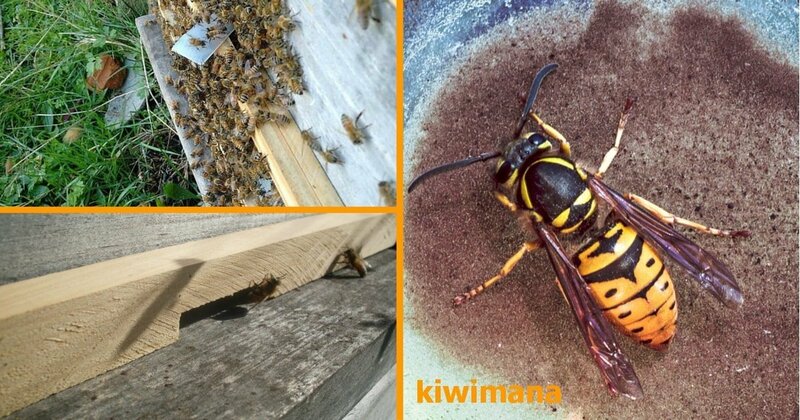 Have you got Vespula germanica in New Zeeland? I make the entrance very narrow. below the article, it says you sell robbing screens, but I can’t find them on your page? Thanks – I’ll have a proper look when the thunder stops and I can turn the computer back on. Thanks Dave, yes Wasps are real pain in the A#$ later in the season. 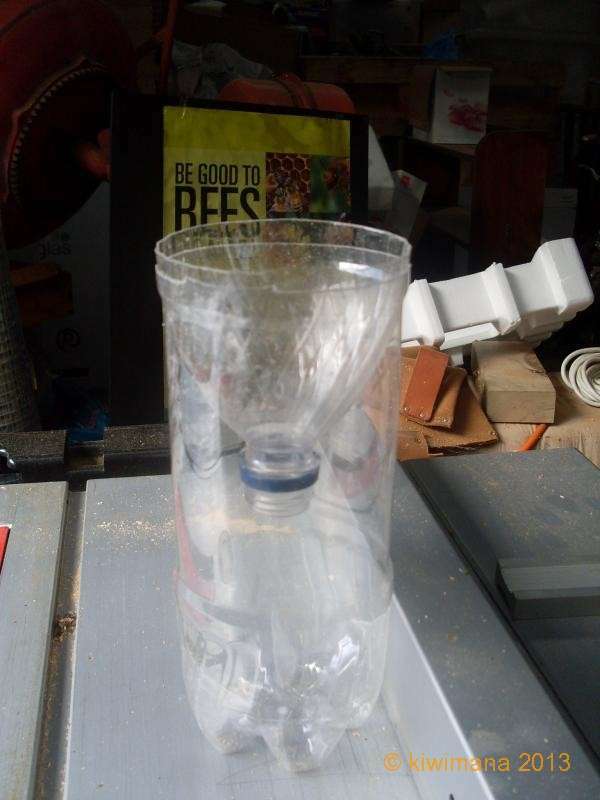 Your wasp trap recipe works a treat and last year I caught many many German Wasps in two traps – one under my TBH and the other just down the hill from the hive. 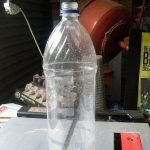 I put a shelter over the top of the bottle to stop the rain getting in. This season a number of bees are finding their way into the wasp trap under the TBH. I am not sure why this is happening but it feels a bit distressing to find them amongst the drowned wasps. We close our entrances up as its cooler and the girls are not hanging out. I love to watch the wasps trying to get in and get bowled out by some very fierce girls. Have seen dead wasps in one of our hives. Hopefully that also indicates a strong hive. Sometimes I have the time to sit an swat the wasps, very satisfying. We’ve just become approved applicators for Vespex here in South Auckland & can help others with trapping wasps. 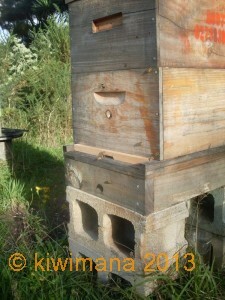 Checked my hives after a long cold winter and it seems that wasps have moved into 2 of my hives and set up home!! 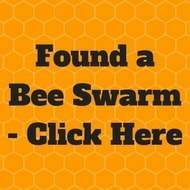 What is the best way to get rid of them without destroying the hiveware? 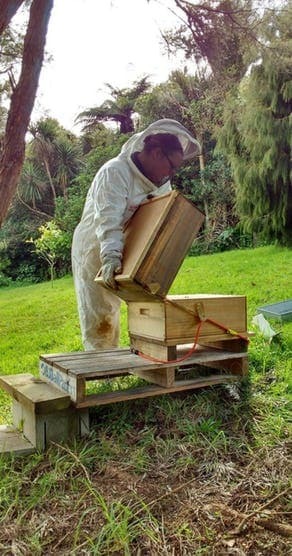 I would just put on my Bee suit and grab a hive tool and removed them from the hive. Yes, I agree don’t use any pesticides as this will be no good for the future bees.